I have another exciting giveaway for you on this beautiful last Friday of May! At our last couple of apartments in America (and hopefully at our next place, too), we had an old hoosier cabinet that served as a coffee bar. I could just see this hanging next to it! Also, are you starting to notice the fun ways that he sets up his prints for the pictures with a few random, simple items around them? I'm really enjoying that. If you have this framed under glass (which we'll talk more about in a second), then a dry-erase marker could make this print loads of fun for families, roommates, or friends. I can see this hanging in an entryway with constantly evolving messages scrawled on it-- reminders, encouragements, fun quotes, love notes, you name it. Isn't that so fun? You can choose from several different custom colors to match your office, bedroom decor, or your fine china... you know, wherever you want to put it. And while we're on the subject, you can actually customize anything any color you want it. And if there's a quote or something you'd like to see, let him know because he said he really enjoys that kind of thing. 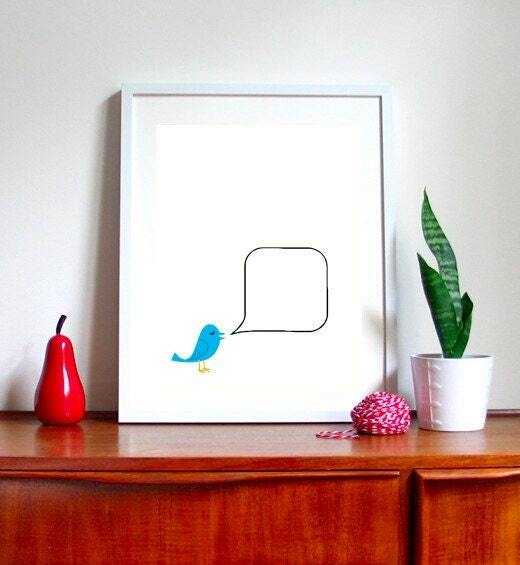 I think this would be super cute in a nursery, child's room, or playroom. It evokes a childish playfulness, while at the same time being stylish enough for adults to enjoy, too. Also, I said that I would talk more about framing, so here it goes. You'll be happy to hear that Jose has thought of you, the thrifty-but-sophisticated customer, when designing all of his prints. That's why all of his prints are sized to perfectly fit in an IKEA Ribba Frame, which is simple and elegant and only $9.99. They will also fit any 8" x 10" sized frame, so no worries if you don't live near an IKEA. Okay, enough talk... are you ready for the giveaway? Jose is generously offering TWO great prizes, open to anybody in the world, no matter where you live! First, one reader will win a free print of your choice! Second, another reader will win a one-time use coupon for 50% off! And EVERYBODY gets to go home with 10% your purchase with the code MESSYMANGER! Go to BirdAve and tell me one item in his shop that you love. Share this giveaway on Facebook (be sure to include a link to this post) and leave me a separate comment saying you did so. So there are THREE ways you can enter to win! Comments will close at 12 noon Central Time on Thursday, June 9th. The winner will be randomly chosen and announced on this blog immediately. The winner will have one week to get in touch with me or an alternate winner will be chosen. Just for the record- I haven't received anything from BirdAve and I don't get any commission from any of his sales. As always, I just really love his stuff and I love to share stuff I love. i LOVE the "coffee isn't a drug" print! I love the coffee isn't a drug one, and the Portland, OR one. I love the "fill in the blank" print the most! I would however have favorited a Dallas,TX skyline if he had one. I shared the link on fb along with a little note on how awesome your giveaways are! 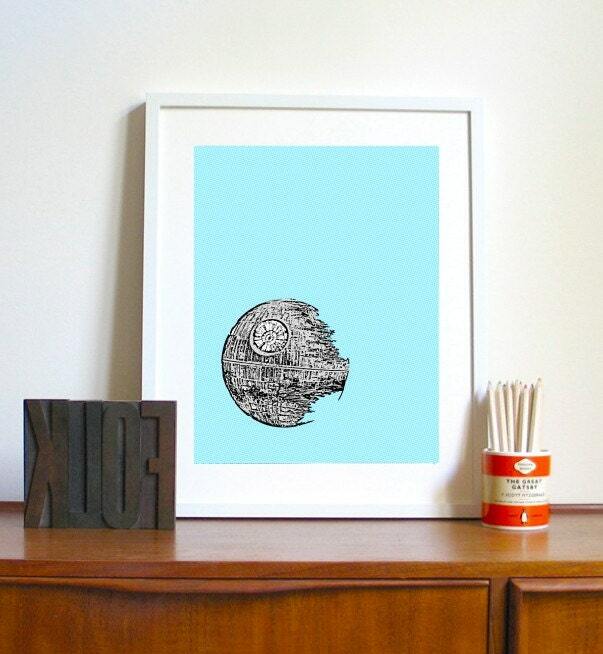 I love the Death Star print! His stuff is awesome! I love the picture of Paris. I like the Atlanta Georgia print best! I love the cocktail prints - especially the manhattan! i love the los angeles print!! 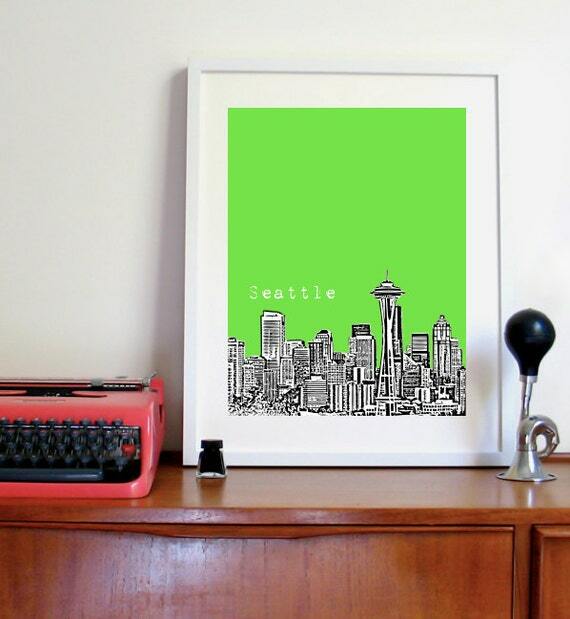 I love the City Prints--especially Philadelphia--my favorite city. How I miss it! Thanks for the great giveaway! I love the "I will always love you". Its what my husband and I say to each other all the time. It's hard to choose! I like the Remove Shoes Before Entering and the city prints (but I'm not sure which one I like most). I love this shop! The Austin print is my favorite! Thanks so much for an awesome giveaway! I love the Mimosa print-especially because I've just started thinking about thow I would furnish the room in our newly renovated summer house, and I was thinking about such a similar color combo :). What a great giveaway! hahaha I love that coffee print. "It's a vitamin!" :) My favorite item in the shop is the "Mac shortcuts" print in dark gray. I love the Carolina In My Mind print! Oh WOW! I would love to have the Nashville print. There are so many great gift ideas in the shop! 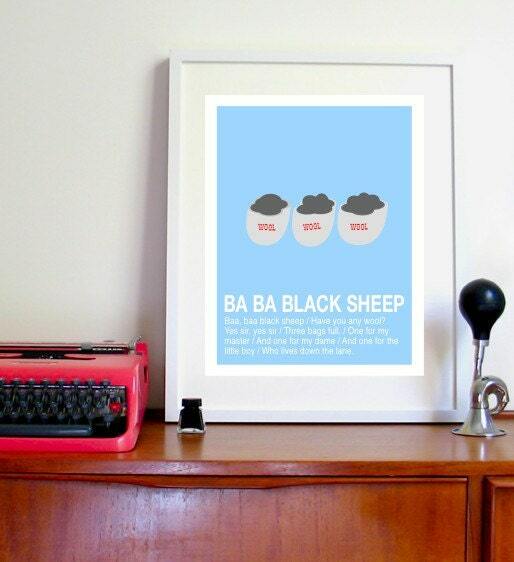 The Minneapolis print, you betcha! i love the 'every little thing is gonna be alright print' and 'the love you take is equal to the love you make' ! Oh I would LOVE the Nashville print! My favorite place ever! 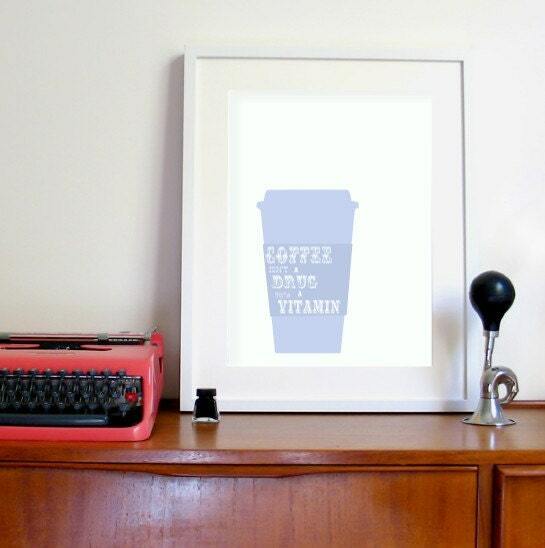 I cant decide between the DC print or the Coffee Isn't A Drug It's A Vitamin print. I know exactly where I would hang it if I was the lucky winner, but im pretty indecisive over these cool prints! I love the dog print!